In life, there may be a time where it is necessary to perform a tooth extraction. There are times when baby teeth block the adult teeth from erupting properly. Either the root is too long, or the tooth itself is misshapen. Other times, a tooth may require extraction due to excessive decay, putting the jaw bone and surrounding teeth at risk of infection. Your doctor may recommend removal and replacement with a implant or bridge. Your doctor may also recommend removal due to problems with your wisdom teeth or orthodontic correction. When your doctor notices a tooth he recommends for extraction he may recommend to remove it at the time of the checkup if necessary or reschedule an appointment to perform the procedure. The procedure is relatively quick, yet it requires your doctor expand your tooth socket in your jaw bone to separate the tooth from the ligament that holds it in place. If you have concerns it is important to bring them up with your doctor along with your preference for sedation. 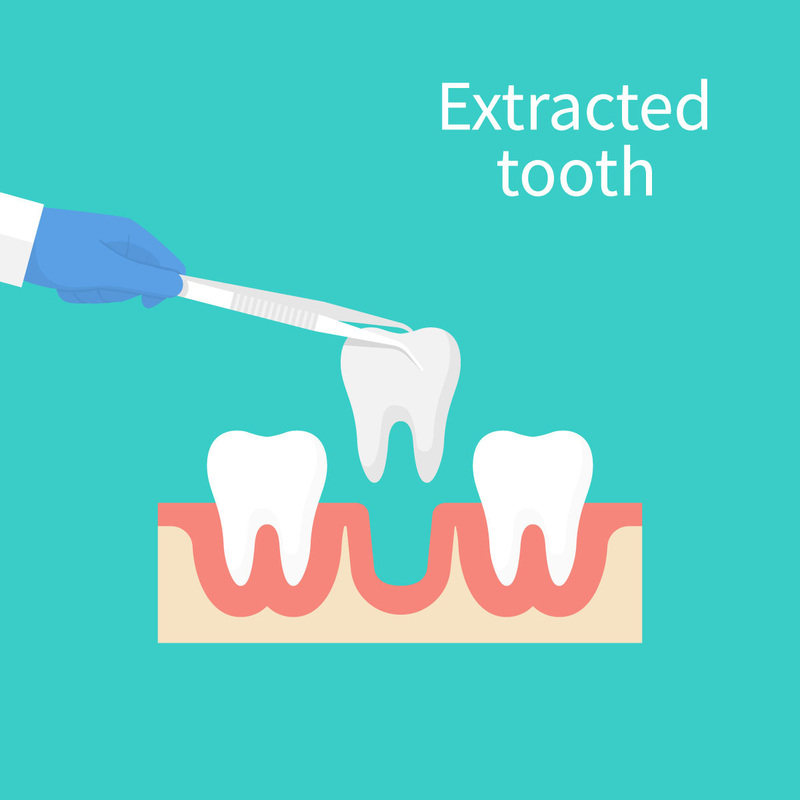 Replacing an extracted tooth is often recommended by dentists. This is because after a tooth has been removed, neighboring teeth may shift, causing complications with chewing and jaw function. Consult with your doctor to see if replacement is right for you. Contact us about Extractions for more information or to book an appointment.